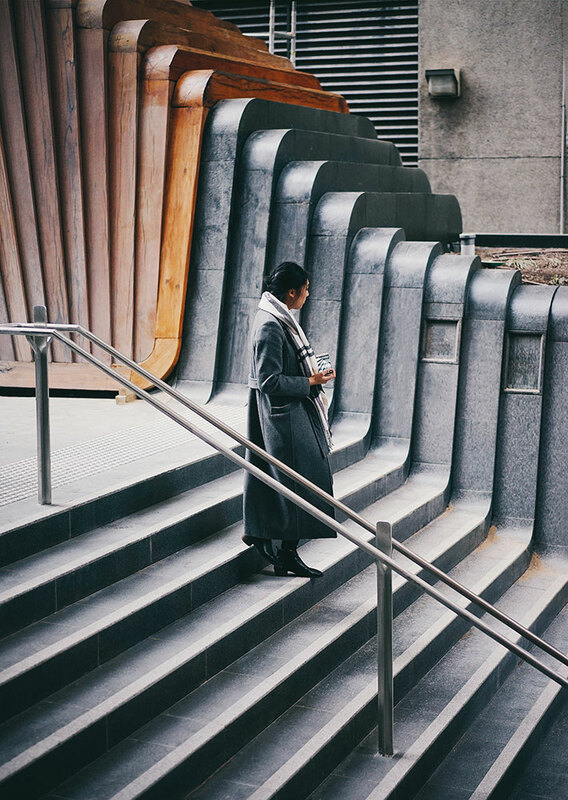 At the heart of this project is both workplace design and city making. 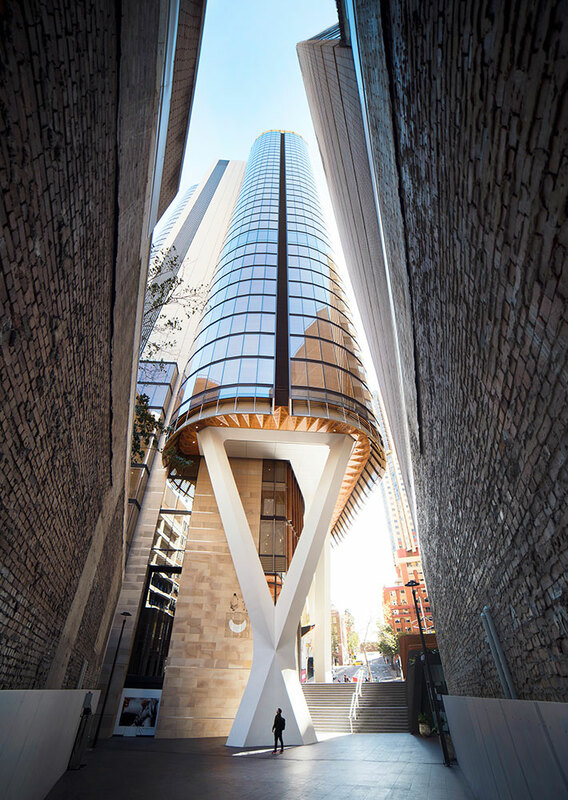 We have sought to make a building that reinterprets and honours the uniqueness and history of this place, positioned at the edge of Sydney’s Tank-Stream (the first water source of the colony of New South Wales). 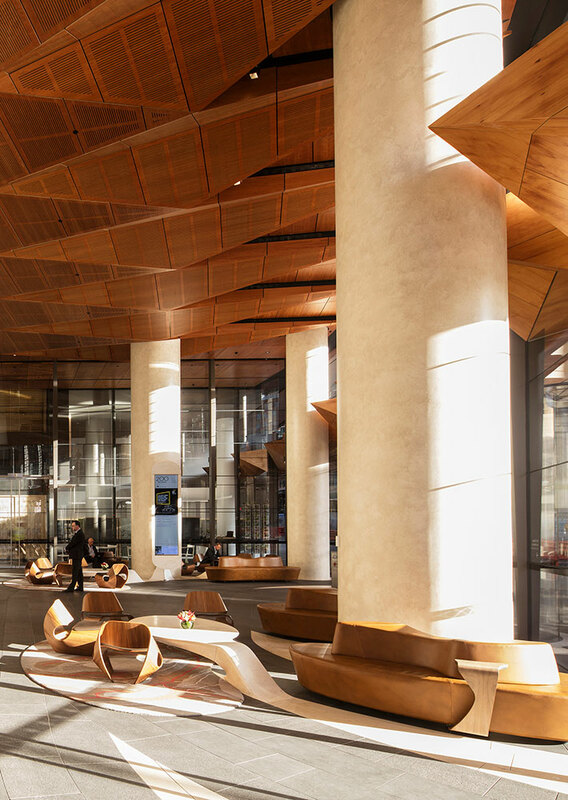 We envisaged a different type of city tower; warm, human and responsive, to create a healthy and sustainable workplace. 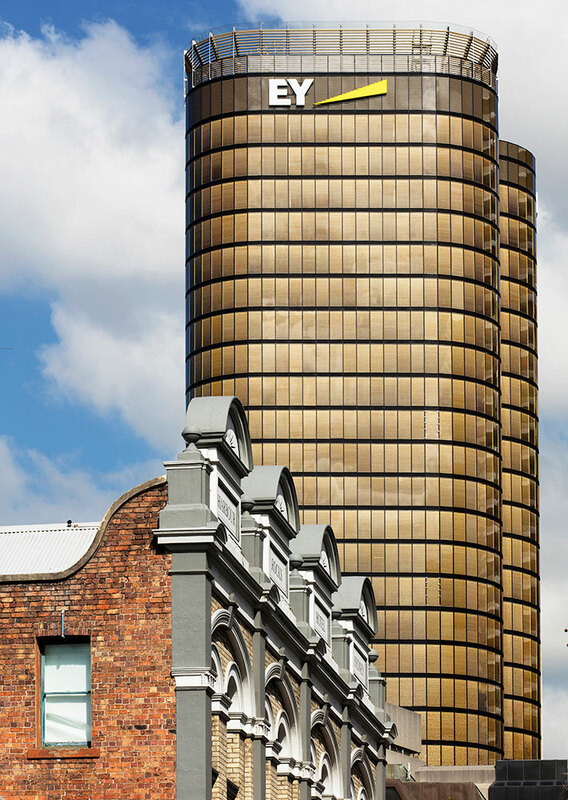 We wanted to see if we could make a city tower grow out of its site, being the source of its inspiration, its material and character; and in doing so somehow reveal, interpret and reinforce this unique site and sense of place. 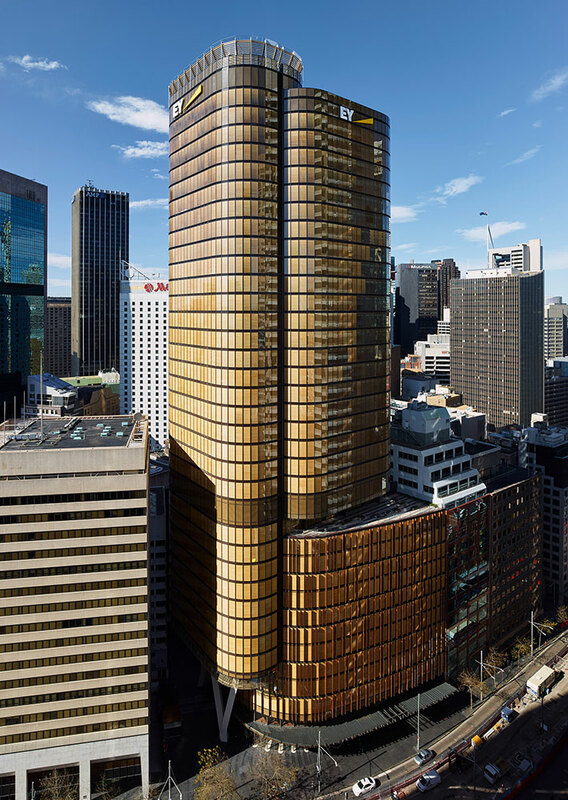 The beautiful Yellow Block sandstone on which this City and our site rests was quarried and blocked, and was used to clad the core of the new tower, rising from the earth to form the spine of the new tower. Into this sandstone is carved a beautiful artwork by Aboriginal artist Judy Watson. It is a work deep in meaning and interpretation of the rich cultural history of the site. 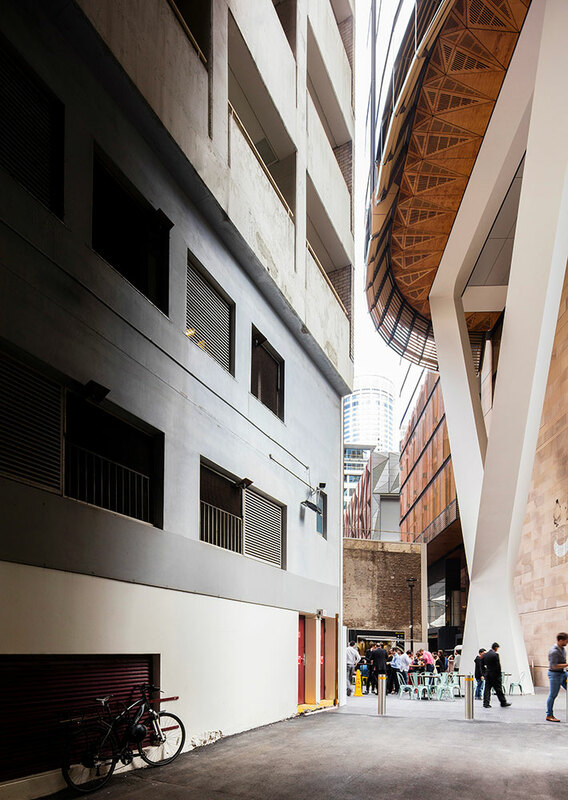 The ground of the new building, kiosk and public space is formed in stone, curved and folded up to create steps, and a place to display the site’s archaeological findings from Sydney's colonial and Victorian-era. A bronze line has been incised through the floor of the public domain and into the lobby, marking the edge of the water from the pre-European estuary. 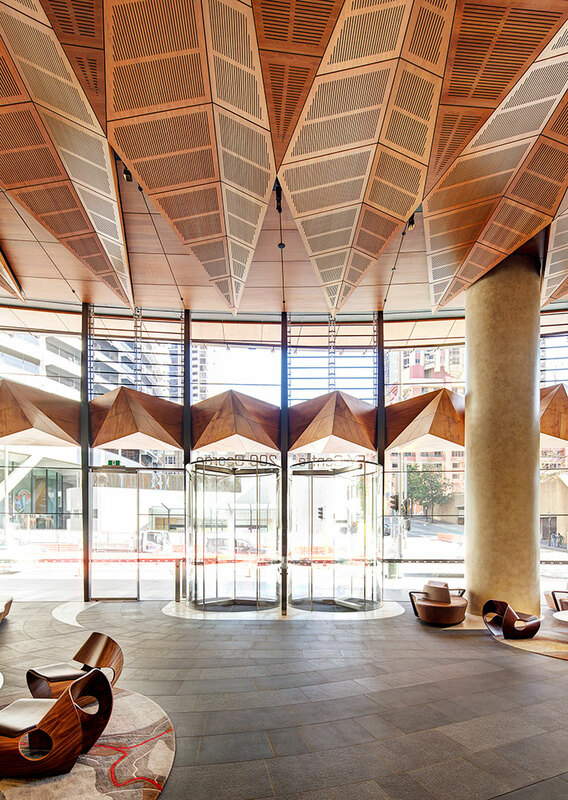 Forming a soft edge to the street and public foyer is a suspended awning of folded timber planes reaching out, protecting the footpath and reflecting light into the lobby interior. This gently curving and folding awning is like a row of trees providing shelter at the edge of the tank stream. Embracing natural materials, it appears in the city as a tower made of timber rising out from the greyness of its neighbours. This is achieved through a facade made from multiple layers. The outer layer is a single sheet of low iron clear glass, behind which is a layer of automated blinds of natural timber, located within an air-pressured cavity that is clean and dust free. The inner layer is a sealed double glazed high performance insulating unit. 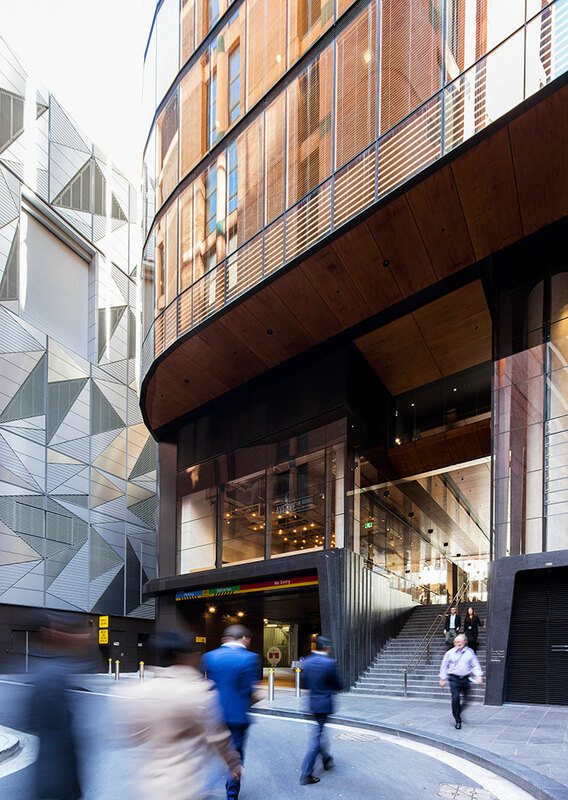 The result is a facade that outperforms any of the surrounding grey glass buildings and looks nothing like them. It is clear and transparent and the natural colour of the wood glows in the sun. 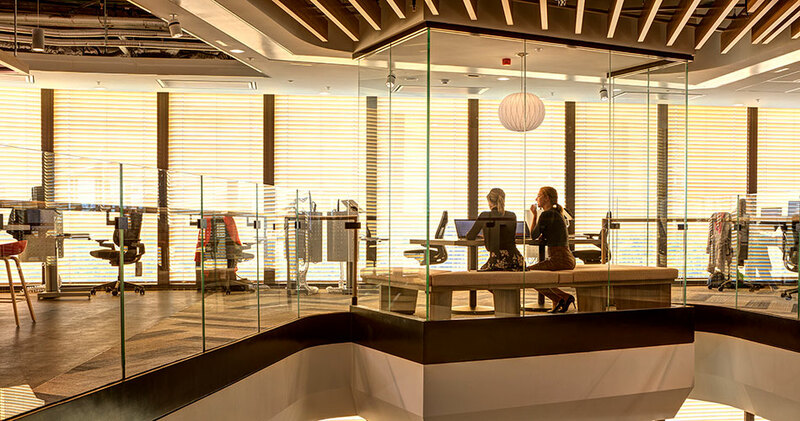 In essence, EY Centre is a building made of traditional materials, stone, wood and glass; material that we have been building with for thousands of years, but here unitising the most advanced technology systems. 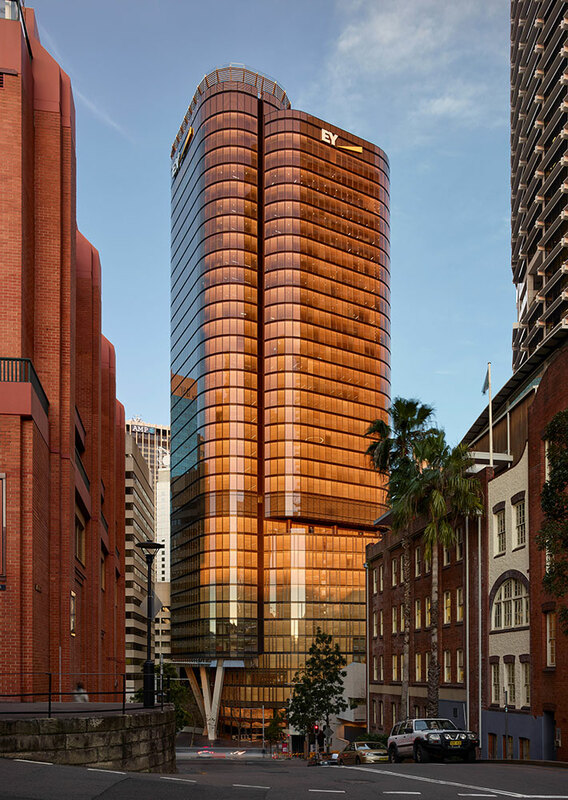 This tower creates work environments that are open, flexible, enabled and connected with its fully glazed floors, extensive natural lighting and integrated LED lighting system. Importantly the envelope is a responsive skin, a kinetic architecture, adjusting automatically to the position of the sun and time of day to control heat load and sky glare. This facade with progressively adjusting timber screen filters the light into a warm timber glow reaching deep into the interior. 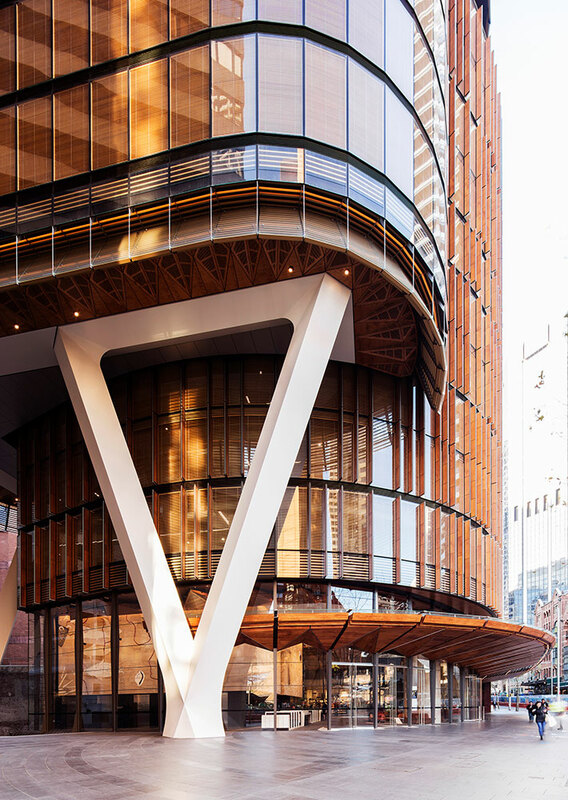 From outside, the building changes in appearance as the sun moves, the western facade clear and open in the morning and more closed and timber in appearance in the afternoon. We have looked carefully at the history and great richness of this place and tried to both reveal and deepen it, despite the presence of a large building on a tight site in the heart of the city. 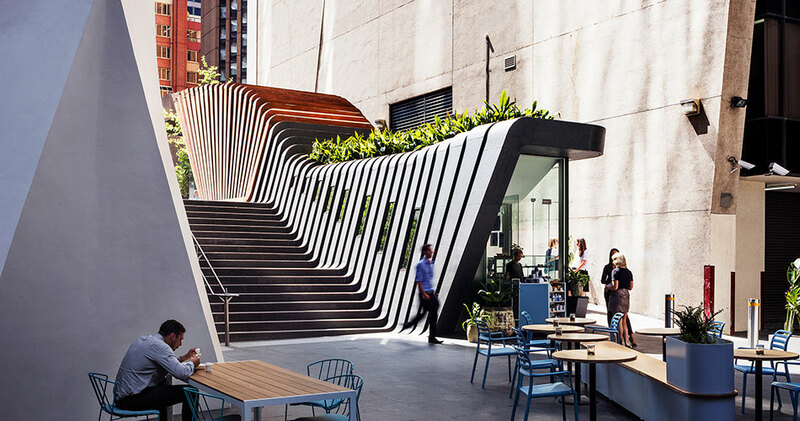 In this increasingly global context and the international city that Sydney is, this is a work of Australian Design; a collaboration of Australian architects, designers, consultants, artists, furniture designers and manufacturers, contractors and developers. We have tried to make our competing global city more desirable and competitive through making it more unique and true to itself.